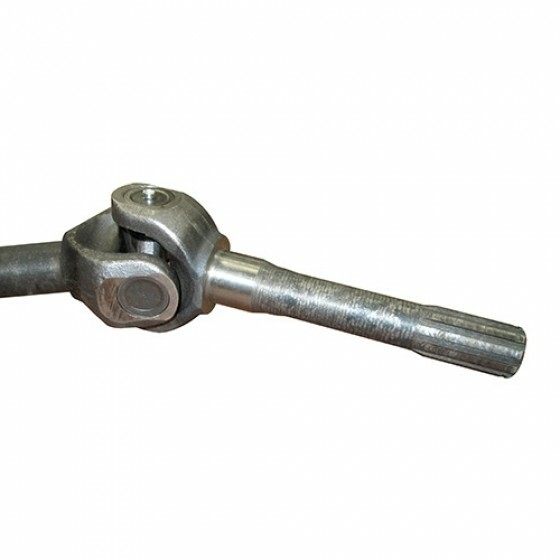 New Front Axle Shaft Assembly for Drivers Side (LH). 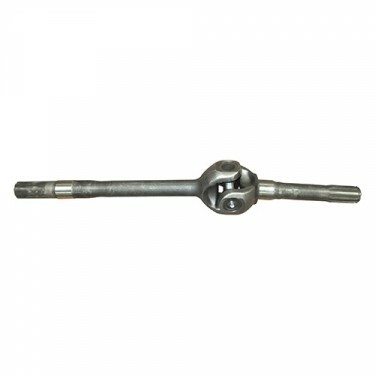 Contains Both Long and Short Shaft with Universal Joint. 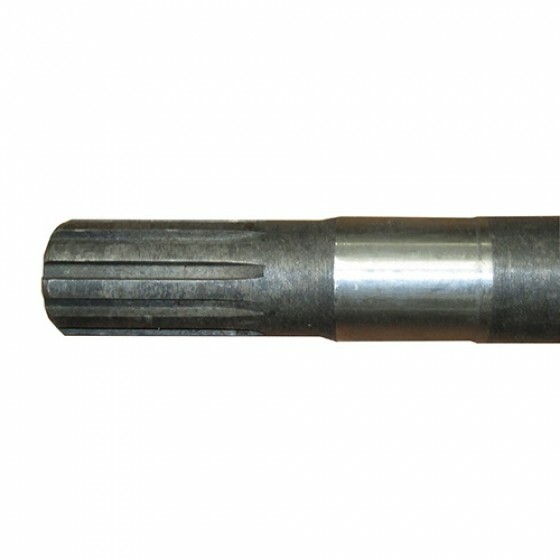 Questions: I see axle shaft assemblies for the Dana 25, but not for my 27. Since the list does not state that they fit the 27, shall I assume that they are different? If this is true, do you have them for L and R sides? If you are fine spline, please email mike@kaiserwillys.com or call me toll free. I can help out. Questions: I have a 1955 CJ-5. I am rebuilding the front knuckles. It has the Bendix style U joints. When I pulled the spindle off the outer axle came with it and the balls fell out. Does this mean it’s worn out or do I just need to reassemble it and reinstall? Chances are they are very worn if they are the orignals. I would inspect and rebuild if necessary. Questions: Hi, how much does it weights? 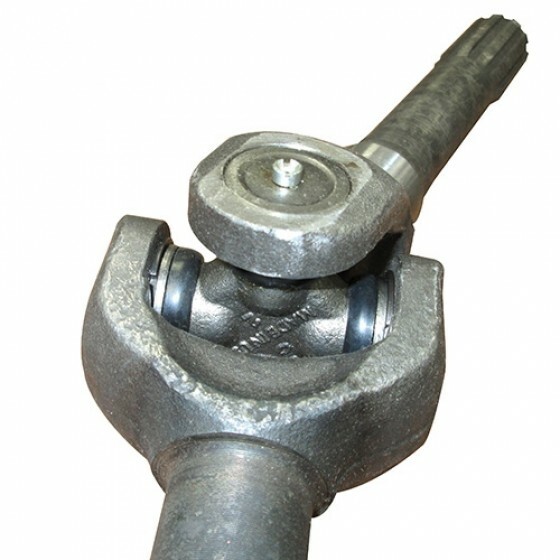 Questions: I have a Ford GPW made in 1942 earlier serial #, will the new universal joint style axle replace the older style with threaded ends. Yes this will replace the original axle shafts. Questions: Do the ujoints in these have zerks for grease? Yes, they do. But they are pregreased from the factory. Questions: What is the length of this shaft? Questions: Is this a 10 spline axle and will it fit a 47' CJ2A? Yes, this is a 10 spline and is for all the Willys Jeep's listed above. Questions: I still haven't found a definite on what is supposed to be in the Knuckles. As you put it I should fill it up to the fill plug, which is difficult with grease but that is what was in it. Can you tell me is it grease or oil in the knuckle? I am thinking it must be grease, the book says universal joint lube. Just seems funny to fill to a fill hole with grease. How do you know when you have it full? With oil it would run out the fill hole, with grease you could have it pumped all the way through the axle before it came out the fill hole? Thanks again for all your support, there are a lot of places to buy parts and I don't buy from you because you are the cheapest, I do it for the service and technical help. Thank you. We typically use 90 weight gear oil. We use 90 weight non-synthetic. We typically use 90 weight non-synthetic. Fill till it comes out the fill hole on the side and re-plug. Thanks! Please give us a call toll free and we can go over it with you. 888.648.4923. Thanks! Questions: My new Universal joint axles came in today for my CJ2A thanks. Still struggling with lubrication and support. Am I to believe there is only support at the bushing in the spindle? Also how does this bushing get lubricated. I seen others ask this question and responses that the knuckle is still filled with Oil. Do you mean grease? and what would keep it from coming out the front of the spindle? I realize this is a lot to answer, but this is a huge investment to have something go wrong. 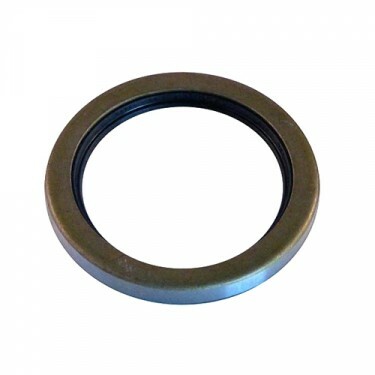 There is just the spindle bushing. Then your drive flange on the end of the hub has splines. It is a pre-lubed joint but you will still want to put knuckle lube in the knuckles up to the fill plug. 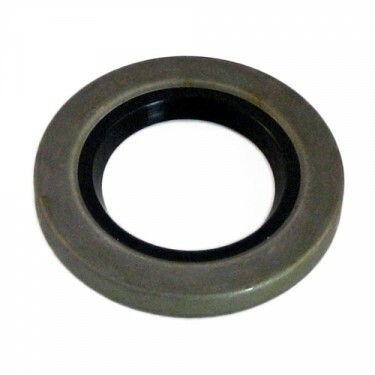 Yes, there is a spindle bushing and then you have the drive flange at the end. See diagram: https://www.kaiserwillys.com/diagram/cj-2a-diagrams/axle-diagrams-willys-cj-2a/dana-25-27-front-axle/dana-25-27-front-axle We use 90 weight non-synthetic. We typically fill with 90 weight gear oil. You will want to do this. That spindle bushing is the only support per se. Questions: I recently purchased a 1946 CJ 2-A that is mostly complete and original. I pulled the front diff cover and found that right and left axles, gear case and crown gear are all missing. The pinion is there but that's about it. Do you have good used gear cases and both axles? Will also likely need a crown & pinion as well just need to figure out the ration in the rear diff so it matches. Great site and lots of helpful information - thanks! We can get you the carrier, spider gears, ring & pinion ect no problem. Please call us toll free. We can help out with a lot of this. Please call us toll free and we can go over. Please give us a call toll free and we can go over it. 888-6484923. Thanks! Questions: With the new style can one replace just the spicer joint if needed at a later date or does it require a complete unit? I have the rezeppea style now and when pulled shaft out and bent completely down a ball fell out and i was able to put it back in does this indicate a badly worn joint. It seems to work ok after replacing ball. You can do just one side if you want. We also sell the rezeppea style as well. You can replace the joints as needed. Give us a call toll free and we can get you set up. Yes, you could replace the joint at a later time with the 909459 & 909460 if needed. Questions: With this joints do you still have to fill the knuckle with oil? Yes, I do recommend it. Yes, we use 90 weight. Yes you can replace just one side no problem. We have customers that do it all the time. We recommend running the same in each side. Yes, we do have people replace just one. But I usually recommend doing it in pairs. Questions: I will need both driver and passenger side front axle shaft assemblies. The other part number is 909460. 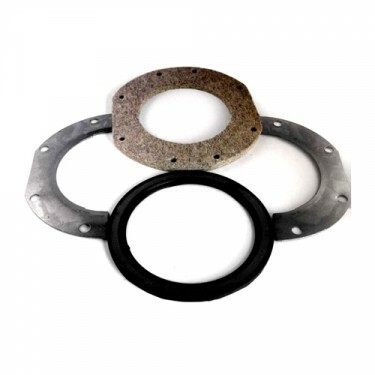 Yes, these come complete with fittings for grease. 909460 would be the part number for the passenger side. 909459 is the driver side, like you see here. 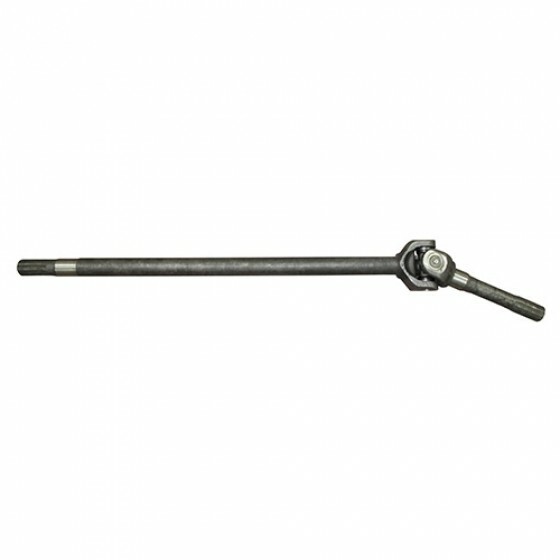 And 909460 is the passenger side: https://www.kaiserwillys.com/front-axle-shaft-assembly-for-passenger-side-rh-fits-41-71-cj-mb-gpw-m38-m38-a1-with-dana-25 Thanks! Yes, that is correct. They just slide in. You may have to take a bit off of the bronze bushing at the end of your axle housing tube for clearance. You may have to take a bit off the bushing at the end of your axle housing tube for clearance on some models.